SooFoo fan Brian created another dish that he wants to share with us. 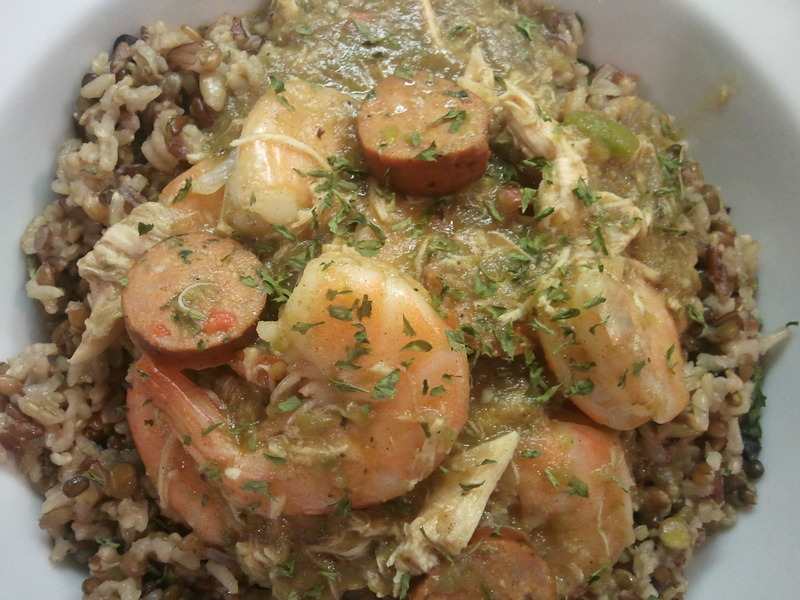 His 3-Meat Gumbo is both hearty and healthy and is the perfect complement to SooFoo. Prepare SooFoo per directions on package. Make a roux by combining olive oil and flour and brown 10 minutes, whisking constantly. Add in the chopped green pepper & onion and the cloves of garlic (you can combine before hand using a food processor) and cook together for 4-5 minutes. 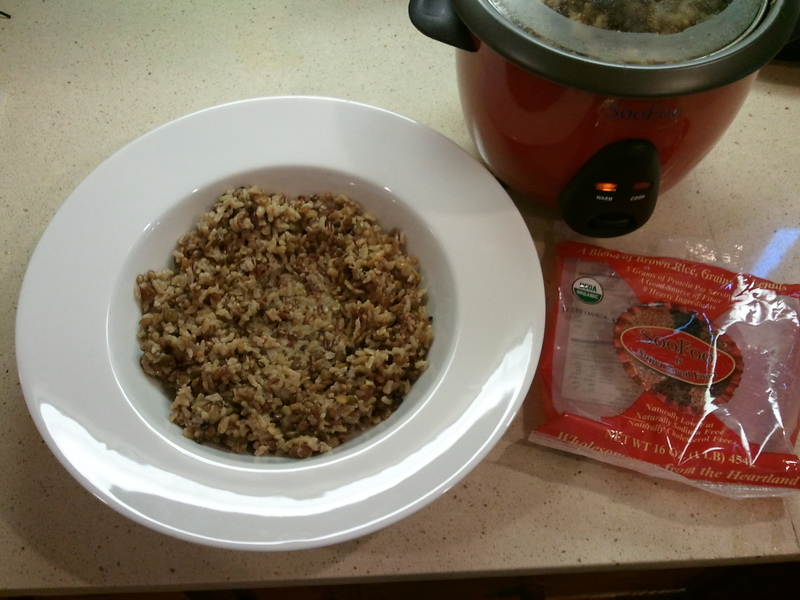 Slowly add in 3-1/2 cups of chicken stock/broth, mixing as you pour and simmer for 10 minutes. Chop or shred the chicken breast and sausage and add, simmer for 10 minutes. 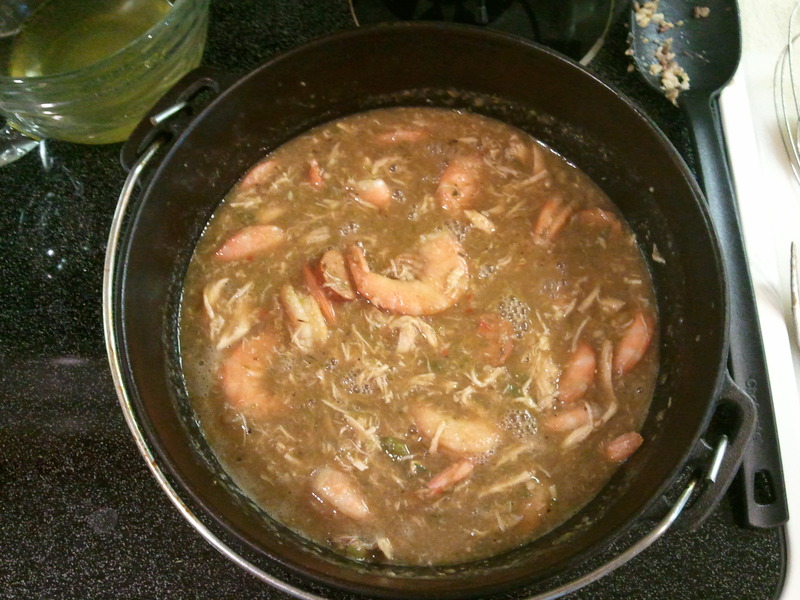 Then add shrimp simmer for another 10 minutes or so, until shrimp has a solid pink color. Place fresh SooFoo in bowls. 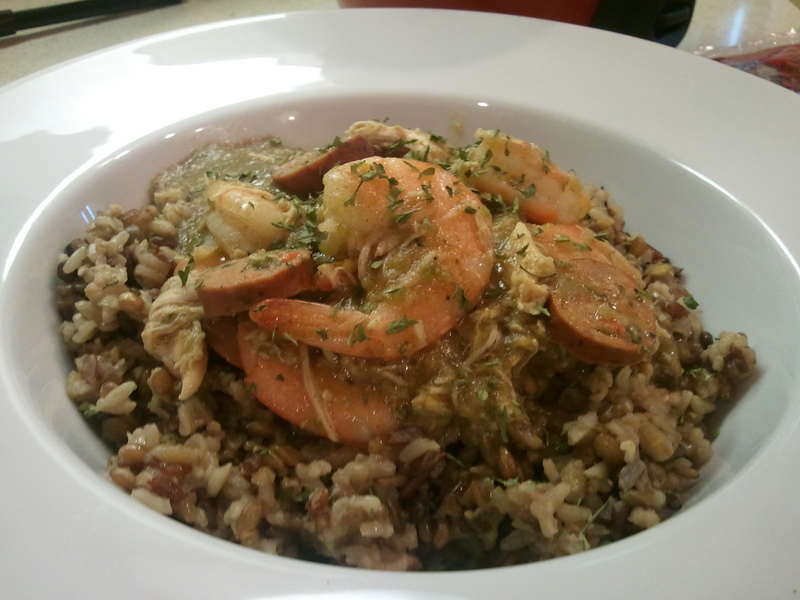 Cover with gumbo and enjoy. Makes 2-4 servings, depending on how much you like to eat.